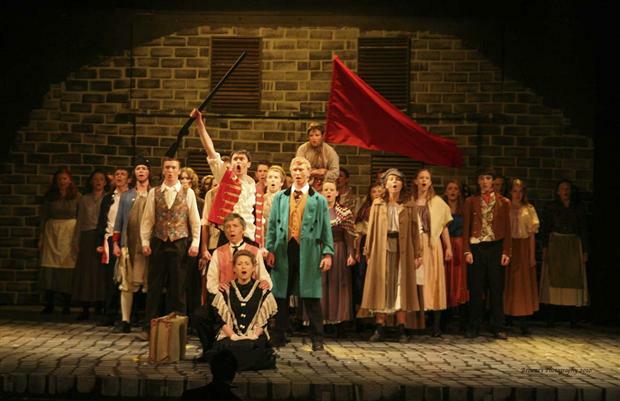 After months of preparation the joint school musical, Les Miserables’ played to full houses over the past 4 nights in St. Michaels Theatre. Audiences were fulsome in their praise of an outstanding production and acknowledged their appreciation of the wonderful performances with standing ovations. The cast, backstage crew, production team, parents and the teachers involved have done both Good Counsel College and St. Mary’s proud. The Cast of Les Miserables on stage. For those of us seeing our boys on stage, it is a valuable reminder of the depth of talent among the student body, of which we would often remain blissfully unaware were it not for the opportunities afforded to these young people by productions such as this. The huge amount of time and effort put in by teachers, school staff, and indeed parents,to bring a show such as this to the stage is also often overlooked. We owe all involved a depth of gratitude. More details and pictures will appear in ‘Featured News Stories’ section. Back at base there was plenty of important work ongoing as the French, Spanish and German Leaving Cert. orals were taking place, interviews took place for next years L.C.A. programme and parents of next years 1st year group met with school management. On Tuesday night last the Co. Wexford Meitheal Alliance conducted interviews in the Brandon House Hotel for next year’s student Meitheal leaders. 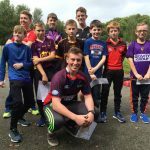 Information on the Meitheal programme can be found in the ”Students’ Corner ”section of this website. On Monday, a group of American students from Mercyhurst College in Pennsylvania, will visit the school at our invitation. 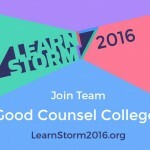 Good Counsel College has a long association with Mercyhurst and there are currently 7 past pupils studying there. The American students who will visit are on a study programme in Dungarvan for this academic year and we have arranged for them to visit the Dunbrody famine ship and Kennedy homestead while in New Ross. Worrying times for Kilkenny Hurling! 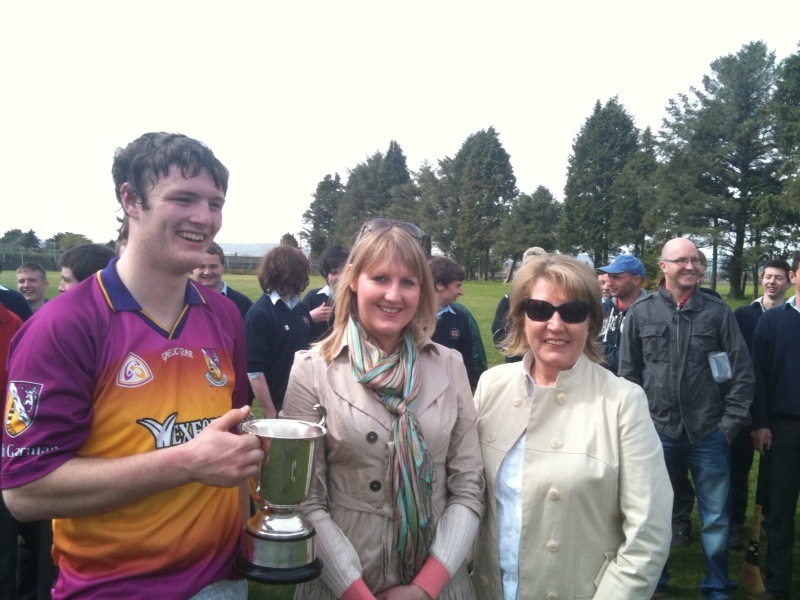 Matthew O’Hanlon receives the Madigan Cup from Paula and Biddy Madigan. The Under 14 hurlers had an impressive win over St Peters in the Flogas Cup on Wednesday last, coming from 11 points down to win comfortably. Well done to them and their coaches, Mr Leigh O’Brien, Mr Wall and Mr. Moore. Best of luck to the school’s showjumping teams who will compete in the All ireland schools championship in Enniscorthy next weekend.